We will be glad to cut the wood to your chosen dimensions. Please let us know so that we can create an offer. We are always glad to grant discounts for quantity orders. If you are interested in ordering a larger quantity of products (€500 or more), please ask us to prepare you a special offer. If you will consistently need larger quantities, please also contact us. We can set up the shop system for your account so that it will display your volume discounts. Do you need larger quantities of a specific timber in very specific dimensions? 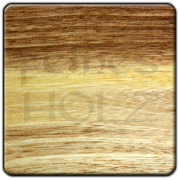 We can supply many woods also in larger quantities and in the dimensions you specify. Just get in touch. From orders of €150 or more, we will deliver free of charge within Germany.